Carpeting can be a lovely addition to your home, providing you with a soft, attractive surface to walk across, and it requires re-stretching and tucking from time to time. It can create a desired ambiance in your home, and it may also buffer noises and instill a sense of warmth on cooler days of the year. However, carpeting is not without its maintenance requirements. You may need to re-stretch & tuck your carpeting from time to time to keep it looking great; and that's where Sherlock's Carpet & Tile comes in. Carpet retucking may also be needed in a home from time to time. When carpet is installed near tile or other types of hard flooring surfaces, it is generally tucked snuggling underneath the hard floor to give the space a uniform, clean look. It may also be tucked on stairs for a flawless look. Over time, the carpet may pull away from these surfaces, and retucking may be needed. You know that you need retucking if you can see the end of your carpeting on the stairs or near your tile, wood or other hard floor surfaces. Do you need carpet restretching? When carpet is installed, it is stretched tightly across the floor and secured in place with nail boards or tack strips around the perimeter of the room. Over time, the carpeting may become more lax, and this can result in a lumpy or loose look that is undesirable. If you have noticed that your carpet is not laying flat on the floor carpet restretching may be needed. You may think that you can restretch or retuck your carpeting on your own, but there are several good reasons why you want to call a professional to assist you. Carpeting can impact the look of your home, and some of these carpeting issues can pose a safety hazard. For example, carpeting that sticks up and does not lay flat could result in tripping. 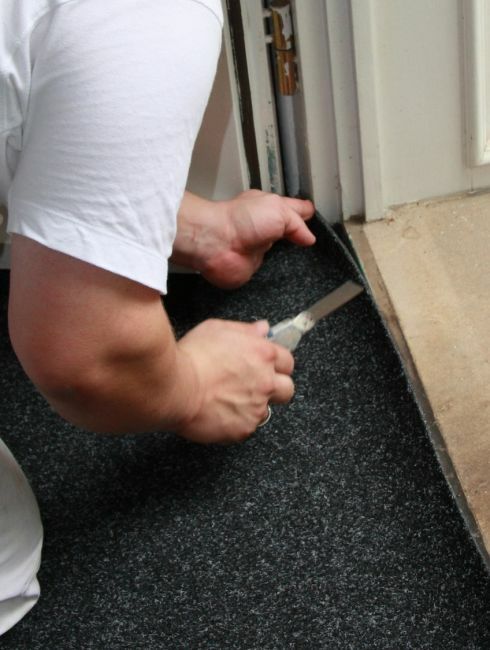 These carpeting maintenance tasks require skills and special tools to complete properly, and most of the services can be completed for a rather affordable price. If your carpeting is not looking perfect and you are ready to see an improvement, you can contact a professional carpet installer for assistance. You can request re-stretching or retucking services from Sherlock's Carpet & Tile, or you can browse through other services we offer that may be needed for your home. For more information or to set up an appointment call (708) 232-3400.